I received samples for consideration for this gift guide. No compensation was received, and I only feature the products I actually like. All opinions are my own, and all images belong to their respective holders. I can’t help it. Fall makes me feel like a kid again. There’s so much I look forward to. I don’t get to see the changing of the seasons down here in Florida, but I can still enjoy the cool weather, the abundance of pumpkins and squash, and the liberal use of spices like cinnamon. I’ve chosen a few of my favorite fall gifts and fall treats to share with you, in hopes that you’ll get to enjoy them yourself- or perhaps share the fun by surprising a friend or family member. Bay Baby Produce makes the best assortment of pumpkin-related gifts that I’ve seen. 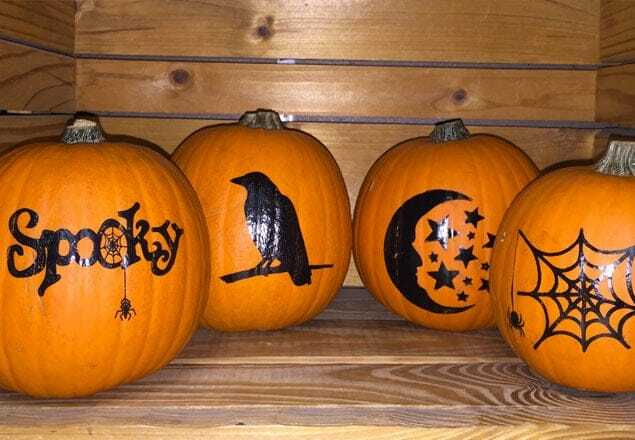 From decorated pumpkins, to pumpkin pie kits complete with real, fresh pumpkin, to kits where you can paint your very own pumpkin, there’s a pumpkin gift for everyone. If you’re a fan of classic crumb cake, you’re going to love Hahn’s Old Fashioned Crumb Cake. I got to try their crumb cake, chocolate crumb cake, and raspberry crumb cake. Each one was generously covered with huge, crumbly crumbs on top, giving it a real boost of texture when contrasted with the soft and yielding cake below. They also offer a “Can of Crumbs,” which is a tin of cookies that taste just like the big crumbs on top of the cakes. Either item would make a lovely gift. You may not identify ice cream with fall, but I do. For me, cooler (yet not cold) weather is the perfect time to enjoy the rich flavors and buttery texture of very high quality ice cream. 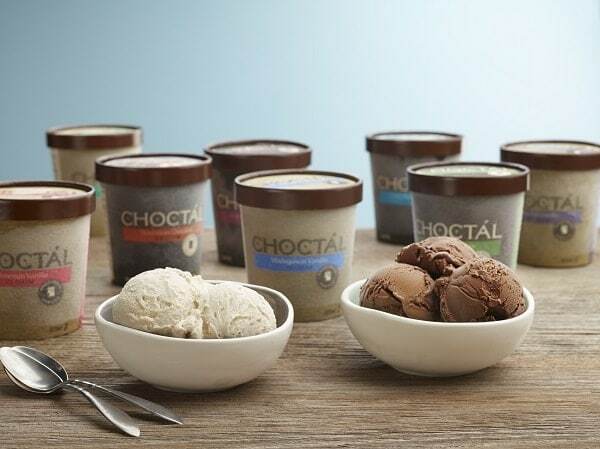 Choctal has become my new favorite ice cream, and although it isn’t stocked in my area, they can ship it on dry ice right to your door. A box of samples landed on my doorstep in perfect condition in 90 degree weather, so I can attest to how well their packing works. If you like intense chocolate and intense vanilla, this is the ice cream for you. My favorite flavors were the Dominican Chocolate and the Mexican Vanilla. It takes a lot for ice cream to impress me. 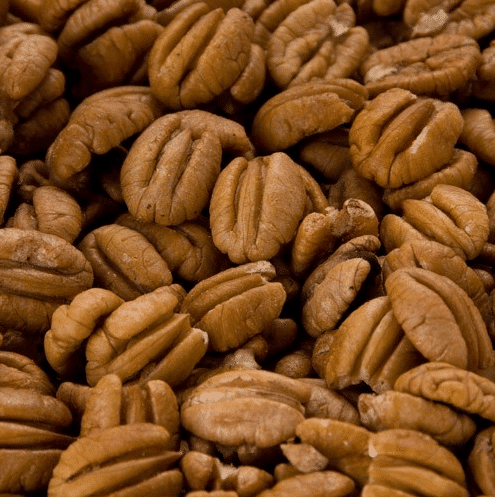 I think it was my mom who made me love pecans. When I was a kid, she often baked oatmeal chocolate chip pecan cookies. These days, she often brings me bags of fresh pecans from Georgia. Some day soon, I’m going to return the favor and send her some of these Pearson Farms pecans. I got to sample the Elliot variety, which are petite, round, and quite pretty. I’ve always had the other pecan variety (“Mammoth”), so it was neat to get to taste a variety that was new to me. These would be wonderful to snack on, or to put in a pie or other baked goods. Which fall treat would you like best? as someone who always makes a double batch of crumb topping, I totally appreciate a can of crumbs! looking forward to pumpkin season too! The can of crumbs was really cool! I love fall, and I love that it is rapidly approaching! I can’t wait until I can make lots of warm fall food! I have 2 in my family that are especially fond of pecan pie! I have got to make a pecan pie this year! I always say I will, and then I don’t. This year I mean it! I think anything pumpkin is fun 😉 Eating, carving, everything! Great post thanks for sharing! Just in time for fall! I rather desperately want to try the can of crumbs. I am crumb obsessed. Talk about dangerous! 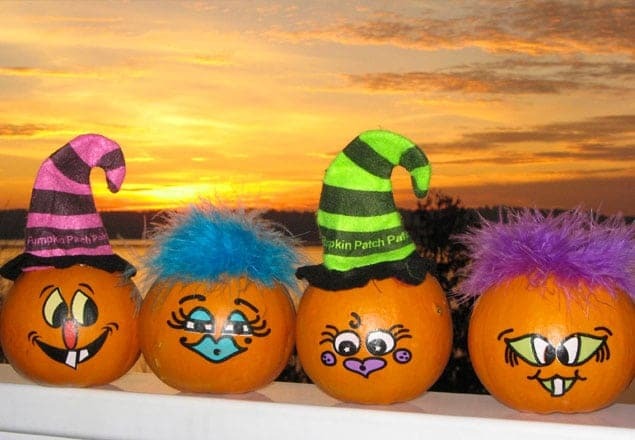 What a great collection, the baby pumpkins are adorable!